Home / Others / What Are Some Social Etiquette Rules Everyone Should Know And Follow? 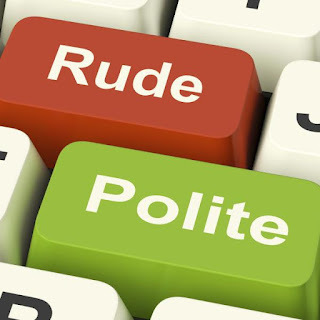 What Are Some Social Etiquette Rules Everyone Should Know And Follow? Avoid shouting someone’s name in public. Don’t talk on phone in a loud tone in public. Walking with two female friends don’t make a sandwich by walking between them. Walk on side. Be a gentleman, walking with a lady always walk on the road side of footpath. Have a good know how of dining table manners. Listen to others more and let them finish. Avoid attention gaining habits in public. Who you are with, give them 100% of yours. Avoid using mobile phone when you are with someone.